You are here: News / In Her Own Words: Sarah Horn Shares Inspirational Story of Singing with Kristin Chenoweth at the Hollywood Bowl and Going Viral! In Her Own Words: Sarah Horn Shares Inspirational Story of Singing with Kristin Chenoweth at the Hollywood Bowl and Going Viral! via broadwayworld.com How do you follow-up the massive success of Friday night's Hollywood Bowl concert, which included a now-viral moment (620,000 views and counting) of singing with a very lucky audience member? 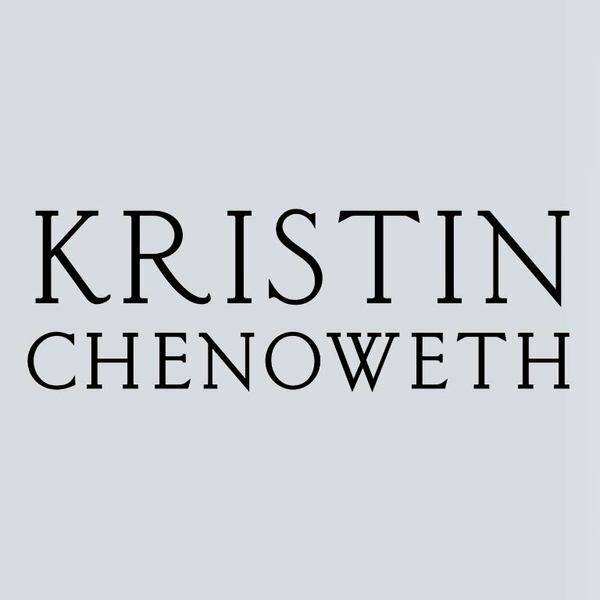 If you're mega-star and BroadwayWorld.com fave Kristin Chenoweth, you do it all over again! At Saturday night's concert at the Hollywood Bowl, another lucky fan was picked to sing the WICKED hit 'For Good' with Chenoweth, and below, Boston Conservatory student Kelli McKay writes about her once in a life time experience. The first time I saw Kristin Chenoweth perform, I was 12 years old. It was my very first trip to New York and my first time seeing A real BROADWAY show. Kristin was starring in The Apple Tree, which involved three separate stories in one - an incredible endeavor. Walking into the theater that night I was just a little girl who loved to sing and dance. When I left after the show, signed playbill in hand, I was an aspiring musical theater performer. Her performance hit home with me, and I knew musical theater was what I wanted to spend my life doing. Last night, I got ready in my green lace dress, ready and exhilarated to witness Kristin perform again. I was excited, but had no idea just how amazing my night would be. My parents had surprised me with the tickets as a fun outing before I head back to school. I had heard about Kristin calling a girl up on stage to sing with her the night before, but I was certain there was no way that I would be picked, though I was secretly hoping. When we arrived at the concert I saw that we had a great view of the stage. However, I felt a small wave of disappointment when I realized that my seat was probably too far away for me to be chosen. Still, I knew I would have a blast at the show anyway. The first act of Kristin's show blew me away. She could balance and flip between different styles and characters with beautiful complexity, a touch of humor, and outstanding vocals! I began taking mental notes of some of the songs she sang that I wanted to practice later. After a stratospheric high note, act one was over. The second act began with songs that brought about boisterous laughter, but all too soon the act was almost over. Then after Kristin finished up a hilarious multilingual version of "Popular" from the musical Wicked, she grabbed her microphone off the stand and began asking for a singing partner. I held my breath. The house lights rose and I saw one of the actors in her show walk towards our section and I began to think, maybe. She asked for volunteers so I stood up. People were yelling their willingness from all sides, and she talked to several girls asking if they knew the song, "For Good." The actor with the microphone was stopped right in front of me so I got his attention and he asked for my name. "I have Kellie over here," he called, and we both had to lean forward so I could reach the mic. "Kellie, do you like musical theater?" Kristin asked me. I told her that I love musical theater and it's my major in college. She made a face to the audience like she couldn't believe it. She asked where I went to school and when I said "The Boston Conservatory," she looked at me for a second, impressed, and then said, "Well okay!" I felt my heart skip a beat as I scrambled out of my seat. I glanced up to the stage just to make sure that I understood correctly. I had flashes of memories of myself as a fourth grader with headphones glued to my ears playing Wicked 24-7 and dreaming of singing it on stage. I walked up the stairs and I could feel my legs shaking. I was shocked by the view for a moment, and then suddenly I was center stage and Kristin took my hand. She made a few jokes, one about us both being sopranos, and then she asked, "Are you ready to sing with me?" I beamed, "I'm ready," and I felt my voice quiver slightly. The music started, Kristin squeezed my hand and winked at me. I heard the swell of the 66-piece orchestra behind me and I felt overwhelmed with emotion. I watched her in awe as she sang the first verse, then she grabbed me and we shared the spotlight together. My turn came and she stepped back, gesturing for me to take the stage. I was practically breathless when I began, but I just looked at Kristin and sang it to her. It struck me in that moment how powerful the lyrics are, because she has so positively impacted my life. Soon she was grabbing my hand again and we were singing together. Any fear I had dispelled and I felt as if I was flying. The rest of the song passed too quickly, and before I knew it I was enveloped in a tight hug and bowing with Kristin in front of a standing ovation of over 15,000 people. She whispered in my ear, "You just knocked that out of the park! How do you feel?" I was speechless. As I made my way back to my seat, the only thing I remember her saying was, "I'm glad I won't be in New York when she graduates!"